Get out of town and come to the beach. This is the best time before it gets too crowded. Plenty of parking, shops are fully stocked and the restaurants are looking soooo good. Friday, Saturday, Sunday, June 7th, June 8th, June 9th – Love to walk, eat, sip, and meet new people? The new food tour experience in Downtown Rehoboth Beach is awesome. I just went on it myself. 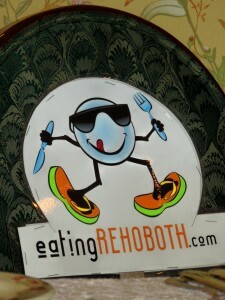 The restaurants you will visit will be a surprise…you need to book your tickets through http://www.eatingrehoboth.com, then you will either meet at Hotel Rehoboth or The Bellmoor in Downtown Rehoboth Beach for a 3 hour or so tour and lots of interesting tastings….meet the restauranteurs and chefs that have made Rehoboth Beach a dining destination. Tours begin at 1 p.m. and you can book them up to 11 a.m. on the day of the tour. Until Saturday, June 8th – Restaurant Week continues in Rehoboth Beach, town-wide. Some restaurants are even serving special lunch menus. Please visit http://www.downtownrehoboth.com/downtown-happenings/restaurant-week/htm to check out the list of restaurants participating. Saturday, June 8th – 10th Annual Miracle Mile Cancer Survivor’s Walk. Registration starts at 7:30 a.m. with the walk actually beginning at 8:00 a.m. Location? All Saints Episcopal Church, Olive Avenue in Downtown Rehoboth Beach. Participants will return to the Church for a light breakfast. Saturday, June 8th – Liquid Surf Shop’s 3rd Annual Swap Meet from 10 a.m. until 3 p.m. Do you want to sell surf and skateboard related items? This is your opportunity to do so with no fees charged. Please call 302-227-7130 for more info. or visit http://www.liquidboardshop.com. Location? 19406 Coastal Highway (Rt. 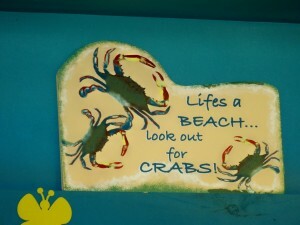 1) Rehoboth Beach. Saturday, June 8th – Doggy Happy Hour. 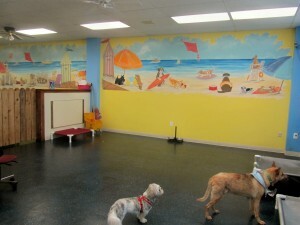 It is Playtime at The Beach from 4 p.m. until 7 p.m. at Rigby’s Bar & Grill on 404 Rehoboth Avenue. Dogs are welcomed but remember that they have to be on a leashed. A portion of the proceeds will be donated to the Delaware Humane Association. Playtime at the Beach is a series of Dog-Friendly Happy Hours in Rehoboth Beach to benefit the animals at Delaware Humane Association. Meet and mingle with other animal lovers at “doggy happy hours” hosted annually by local restaurants and bars in Rehoboth Beach from April through October. Please visit http://www.dehumane.org. 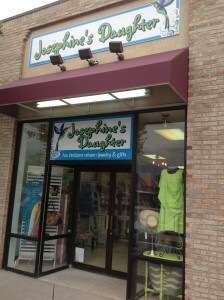 Next on the schedule will be on Saturday, June 22nd at The Seafood Shack in Downtown Rehoboth Beach, from 4 p.m. until 7 p.m.
Josephine’s Daughter – Downtown Rehoboth Beach Women” Boutique Relocates to the Avenue – They have expanded their apparel, shoes and accessories. They are best known for their colorful, variety of fashions. 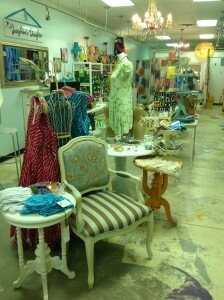 New location on Rehoboth Avenue is 146 R (middle of the second block). Open House on June 12th, so if you are in town stop by. 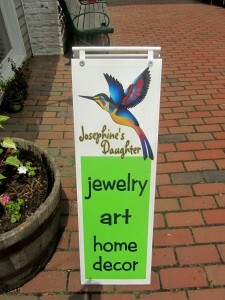 The store opens every day. Tuesday, July 9th and Wednesday, July 10th – Save the Date – 64th Annual Cottage Tour of Art – 2-Day Tour, 7 exceptional private homes and cottages and the Homestead, a 1743 colonial home listed on the National Registry of Historic Places. 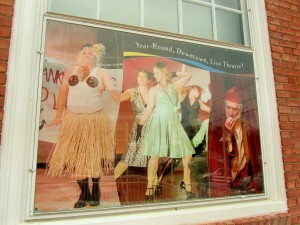 This tour is much awaited every year in Rehoboth Beach. Please make your plans as this year the Rehoboth Art League celebrates it 75th anniversary!! 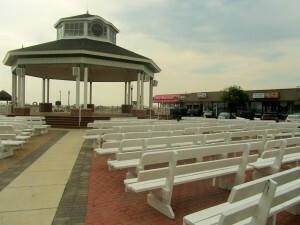 The houses and cottages are all located in the Rehoboth Beach ara. The tour is self-paced. Transportation on the Jolly Trolley to each location is provided by the Art League. J. Conn Scott will convert the Homestead into a show house around the 75th Annniversary Events. 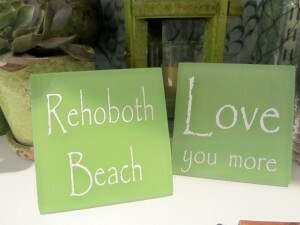 Each year the Rehoboth Art League chooses an artist to create paintings of the homes that will be showcased on the tour. This year Mr. William Dec was selected. He is known for his landscapes and seascapes. To see the houses and locations, including the purchasing of tickets for this event, please visit http://www.rehobothartleague.org, click on Events and select Annual Cottage Tour of Art.